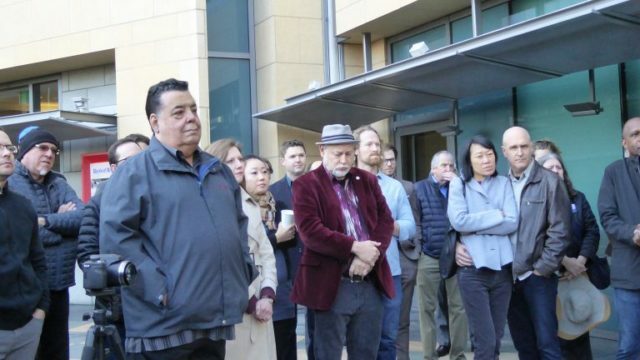 Musicians held a press conference today in Los Angeles calling on the Alliance of Motion Picture and Television Producers to engage in fair contract negotiations and protect the future careers of professional musicians as the industry shifts to streaming and online distribution (aka “new media”). The press conference took place on the first morning of negotiating with the studios and highlighted the fight by musicians to secure a place in today’s new technological landscape. As new media consumption has grown, studios have agreed to pay streaming residuals for actors, writers, directors and others when films are made for streaming, but musicians have been uniquely excluded. Union musicians from Los Angeles, Nashville, Orange County, & New York. Musicians currently receive residual payments for secondary-market uses of theatrical and TV films, but not for films made for the internet. The ability of musicians to earn a living wage in the film industry is in jeopardy with the transition toward digital consumption. 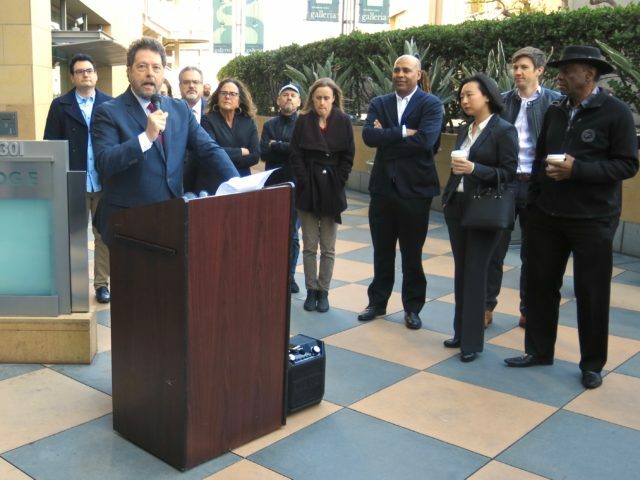 Speakers and attendees at the press conference included American Federation of Musicians International President Ray Hair, recording musicians and members of the American Federation of Musicians, representatives from the Los Angeles County Federation of Labor, and members of SAG-AFTRA and other supporters who are voicing support for musicians. “Working people in the entertainment industry must face the changes in our business together,” SAG-AFTRA President Gabrielle Carteris shared in a letter of support of AFM musicians. “For generations, we have fought for quality jobs and won. Now, as the industry moves toward new media, we believe it is time to stand together again. Our members recognize the tremendous value that musicians bring to our films and television shows, and we support their demand for a fair contract for streaming.